This is an old PA Christmas gift, rehosting it here. I haven't changed it in any way from the original I gave away. Perfect! Just what I was looking for. Thanks, Fisty. nattaruk (2 years ago) Inappropriate? Thank you so much Fisty for these wonderfully useful shaders. Wow! This so wonderful, thank you so much! 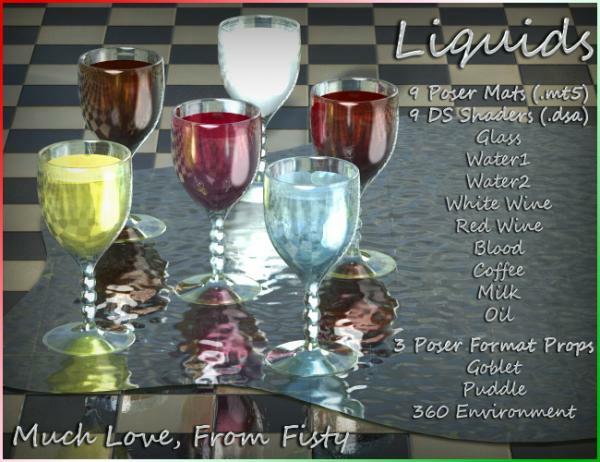 Love that it is for DAZ Studio! Can definitly use this!! truthordare (3 years ago) Inappropriate? These are fantastic!! Thank you so very much! Sarah (3 years ago) Inappropriate? Thank you so much, this is exactly what I needed. Austin (4 years ago) Inappropriate? Thank you for making these available to us again, Fisty. I have always enjoyed using them.